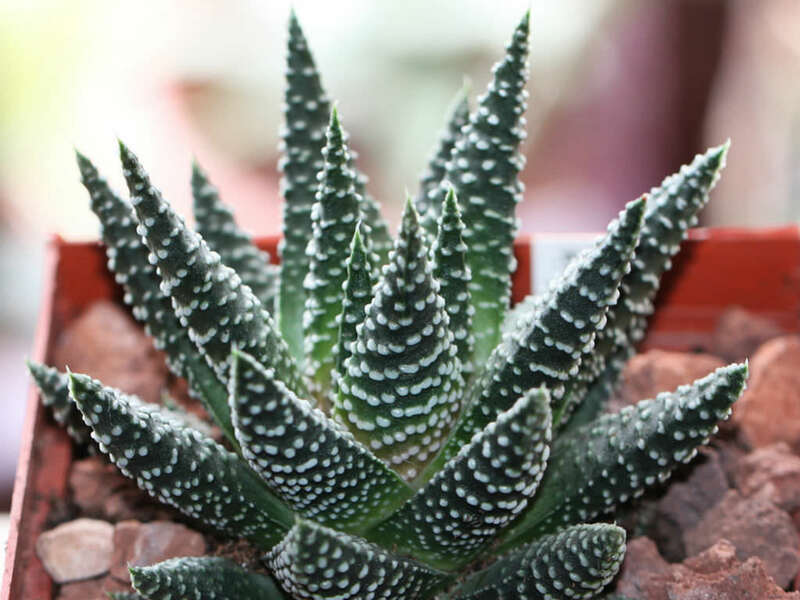 Tulista pumila, formerly known as Haworthia pumila, is an evergreen, winter-growing succulent up to 12 inches (30 cm) tall, with sharp leaves arranged in rosettes up to 8 inches (20 cm) in diameter. The leaves are hard, upright, sometimes incurved and are usually covered with raised white tubercles. 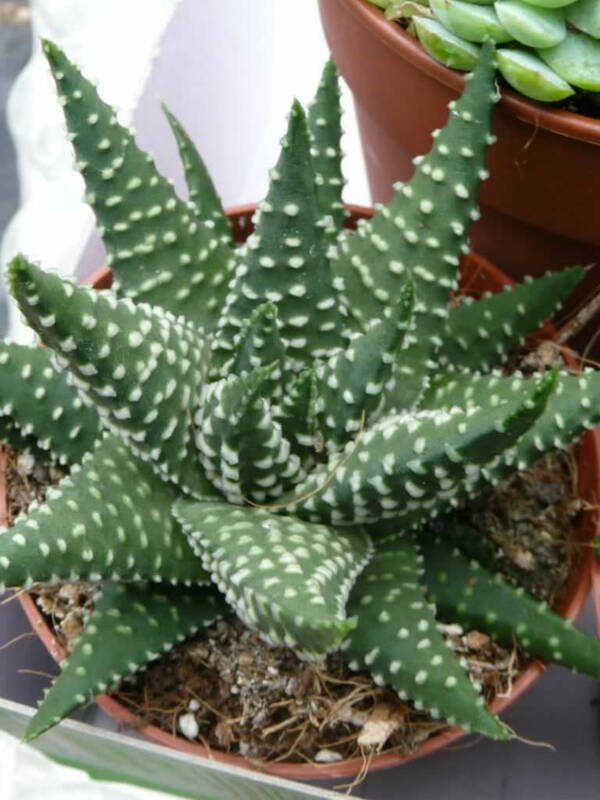 It is a variable species, with different populations differing in the leaf shape, color, growth form and tubercles. It also varies according to environment and in direct sun during the dry summer it can assume a red color. The leaves usually have an olive-green to brown color. In the summer it produces pink-white, tubular flowers, on a thin, up to 16 inches (40 cm) tall inflorescence. 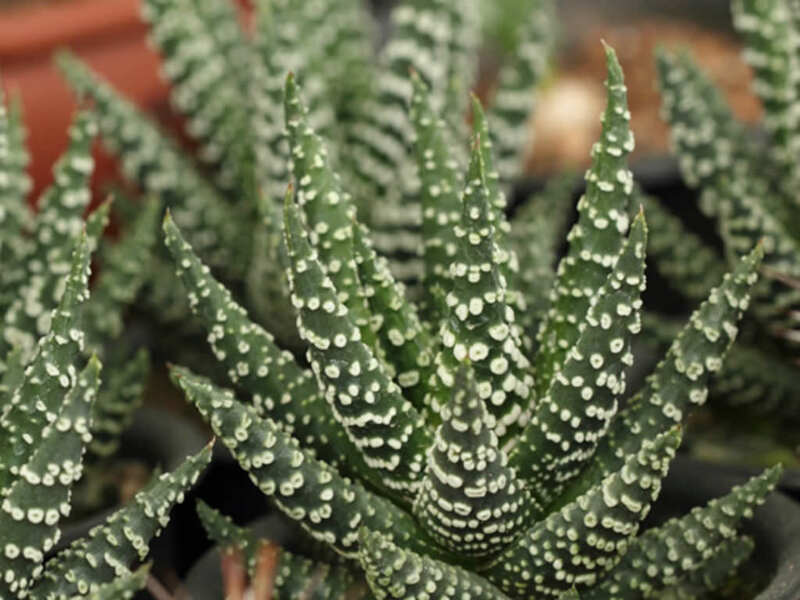 Pearl Plant is a popular plant in cultivation, though it can be slow-growing. 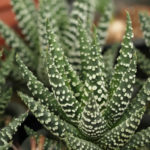 The plant requires well-drained soil and it is one of the few Tulista species that thrives in full sun. 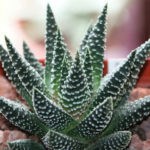 The plant rarely offsets, so most propagation is by seed, though leaf cuttings can also be rooted when larger leaves are used. Propagating from fresh seed is easy. Seed older than 18 months in most cases is not viable, unless kept under cool, dry conditions. 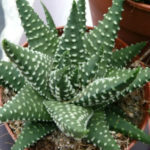 Seed is similar to those of Aloes, but much smaller. Sow the seeds in fall in well-drained, rich, loamy soil. Sow no deeper than 1.2 inch (3 cm). Water enough to keep the soil merely damp and ensure the growing medium is not soggy. A very wet growing medium will cause damping-off of the seedlings or result in the seeds rotting. Viable seed should germinate with 21 days. 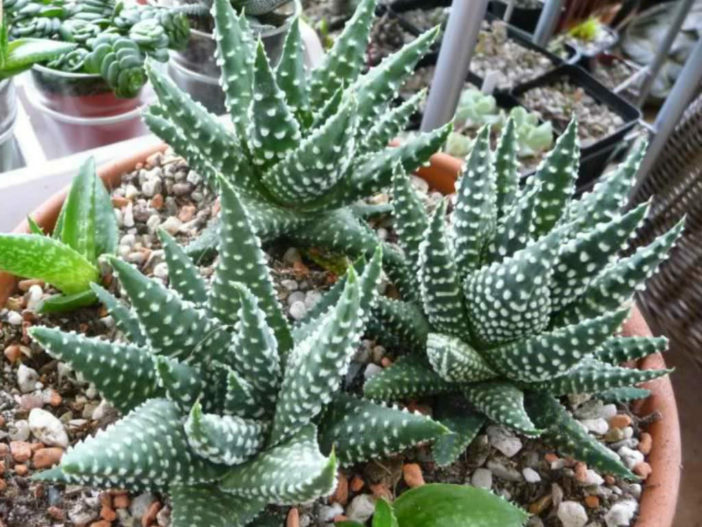 Tulista pumila is native to South Africa (Western Cape).